Dawn Approach made it six out of six when registering a comfortable two and three-quarter length success in the Group One Darley Dewhurst Stakes. Partnered by Kevin Manning, the 30/100 favourite briefly looked as if he may be in trouble but show a devastating turn of foot in the final furlong to push aside stablemate Leitir Mor. For trainer Jim Bolger, this was his fifth success in seven years in the very prestigious seven-furlong event following the victories of Teofilo (2006), Dawn Approach’s sire New Approach (2007), Intense Focus (2008) and Parish Hall (2011). After Dawn Approach’s victory at Royal Ascot in June, he was sold to Godolphin and speaking after the race, Godolphin’s founder and driving force Sheikh Mohammed said: “Today is a great day and we are very happy. 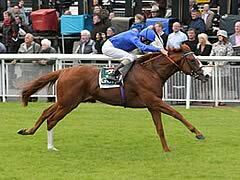 “I was impressed with Dawn Approach when he won his maiden and I thought that he was a good horse. I could have been wrong - I could have bought a bad horse - but, thank God, we were lucky. Jim Bolger commented: “There were no real anxious moments today. He just has a lazy style of racing. Once Kevin wound him up, there were never any concerns. “Kevin says he will get further but I think he we start off over a mile next year and take it from there. Kevin Manning added: “We have been very fortunate over the last few years to have such good two-year-olds and he is another one of those. “It was a proper run race and, two down, he just always hits his flat spot for a couple of strides until he gets into top gear. I know the horse and I knew that there was plenty there. Once he hit the rising ground, he has really gone away. Simon Crisford, racing manager for Godolphin, said: “He will be prepared for the 2000 Guineas. Kevin Manning feels the horse will get further than a mile and he could be aimed at the major 10-furlong summer race next years but the Guineas is the initial plan. “He stays with Jim Bolger and that is Sheikh Mohammed’s decision. Adian O’Brien expressed himself pleased with his charge, George Vancouver, who finished third. “He ran well” the trainer commented after the race. John Gosden, who sent out the fourth, Ashdan, from his Newmarket base, said: “The champion two-year-old has been crowned, and I think in the vision.ae Middle Park you saw the second champion two-year-old. It has been phenomenal racing so far and fast times. This is real high quality racing and run at a true pace. 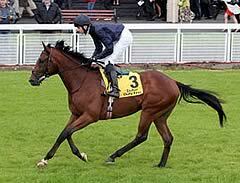 This (Dubai Dewhurst Stakes) race was run like a sprint, fast all the way and it was a good Dewhurst.